Many photographers spend their whole lives trying to capture the perfect photograph, an image that is one in a million and brilliantly captures a moment in time that many would have thought impossible. They can spend years trying to accomplish this and never get the pleasure of doing it, while others may get a once in a lifetime photo almost by luck without any real effort. In either case, the end result if they do manage to pull it off can be breathtaking. 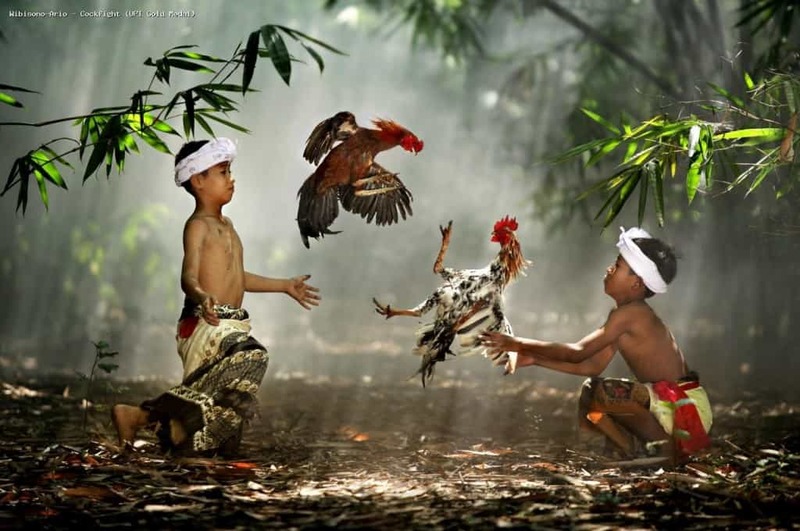 This photograph shows two children playing with the birds as they throw them to one and other, capturing the exact moment that both chickens are in the air. 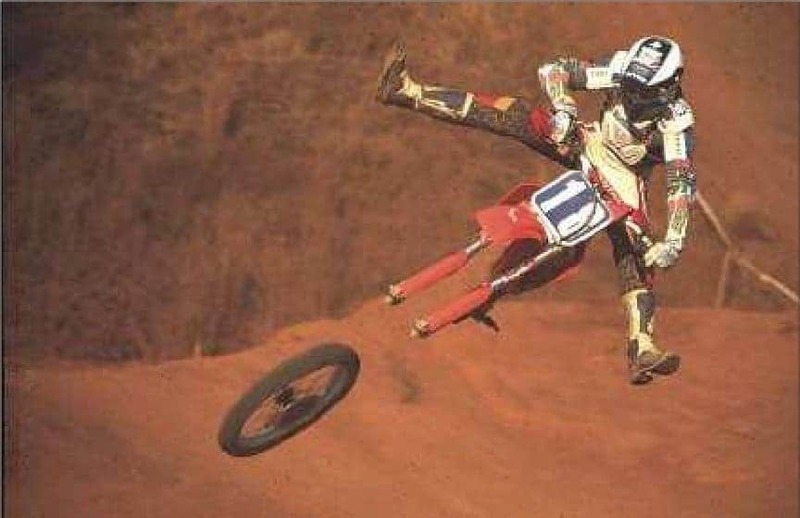 Riding a dirt bike over dunes is no easy task and there are plenty of dangers that are associated with it, as demonstrated by this photograph that was timed to perfection showing the wheel becoming detached. 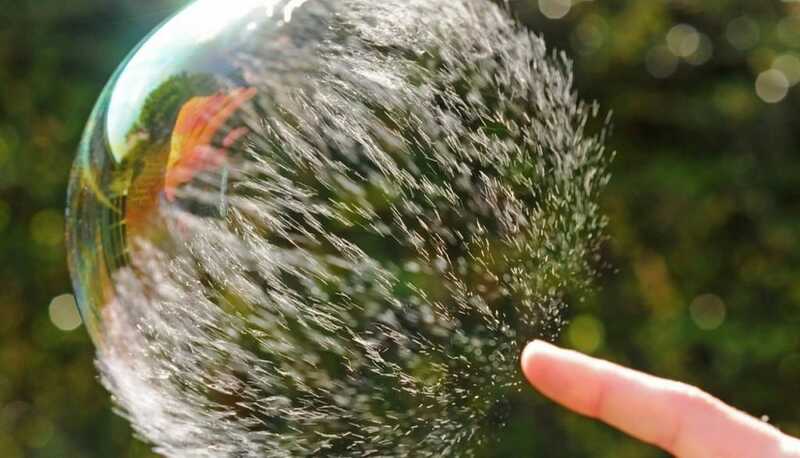 Adding new meaning to the phrase “bursting your bubble”, this photograph shows the beauty of a bubble collapsing on itself once the surface tension has been broken. 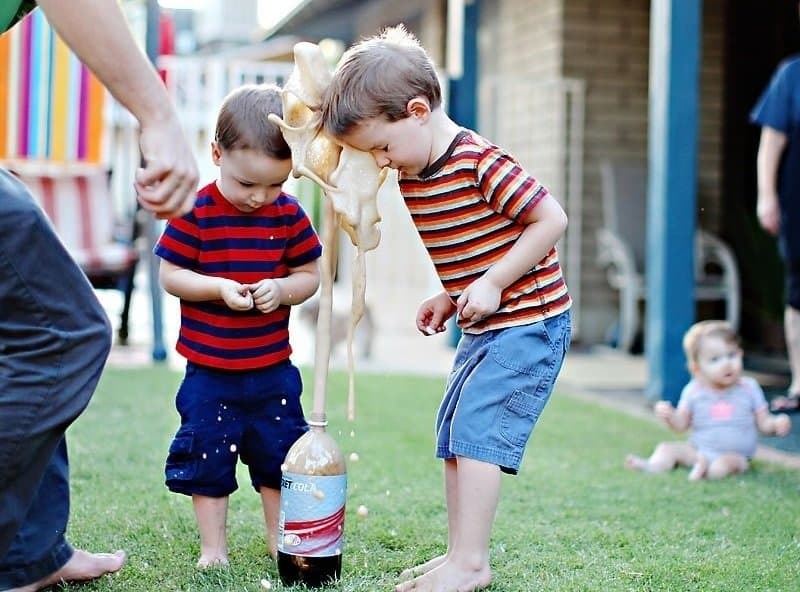 This photograph has grabbed the exact moment that a young boy finds out what happens when you put Mentos in Diet Coke, with the result flying directly into his face. 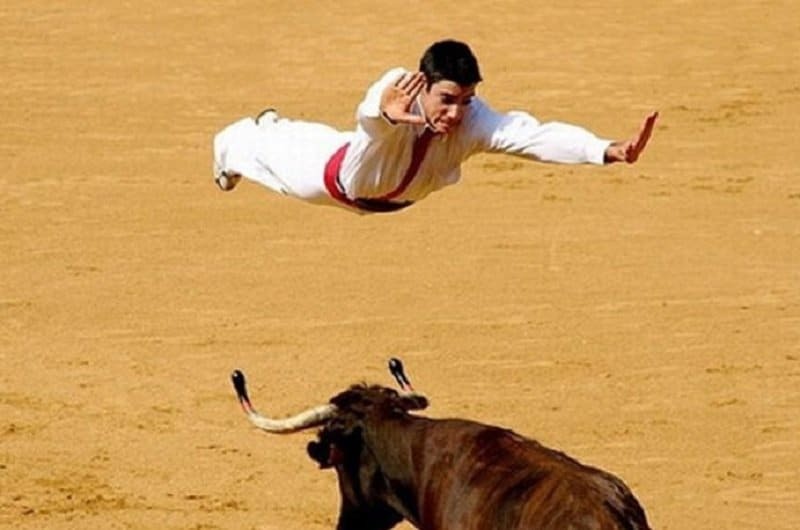 It almost looks like the man is flying in the air as if he is some kind of superhero in this photo, which shows a matador being flipped into the air by a raging bull. 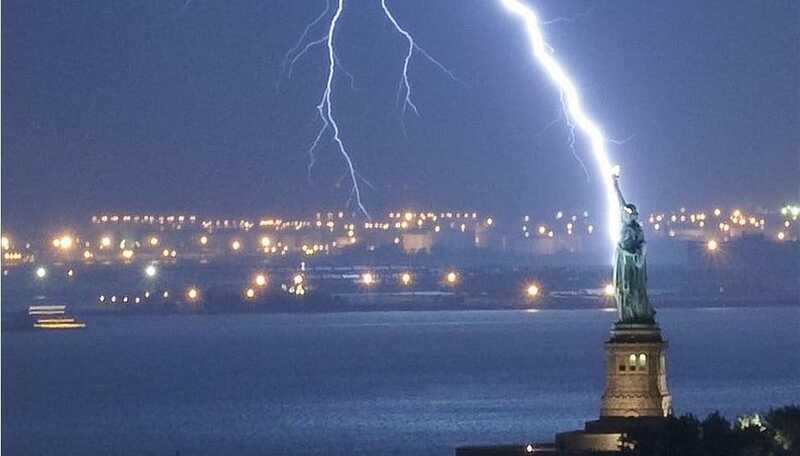 Capturing a lightning strike on camera is no easy feat as it requires split second reflexes and a large amount of good fortune, but capturing a strike on one of the world’s most famous structures is a once in a lifetime event. 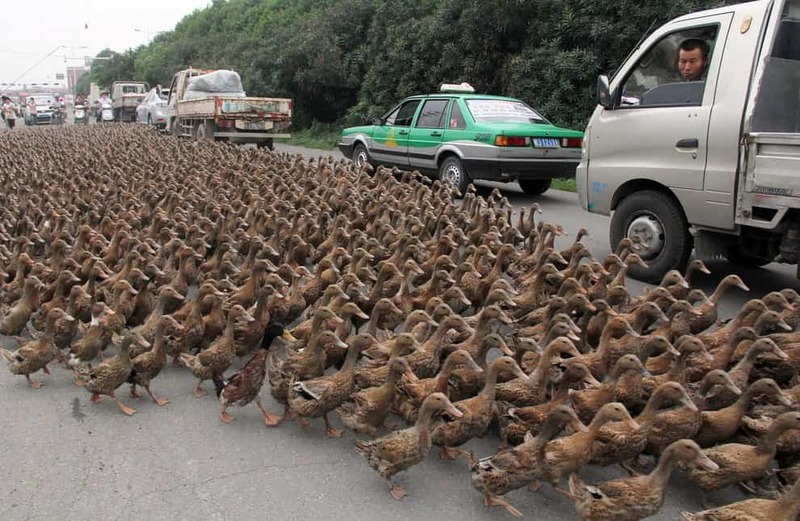 It isn’t every day that you see hundreds of ducks crossing in the middle of a busy road in the middle of China but if you ever do, make sure you get a perfectly timed photograph to remember the occasion. 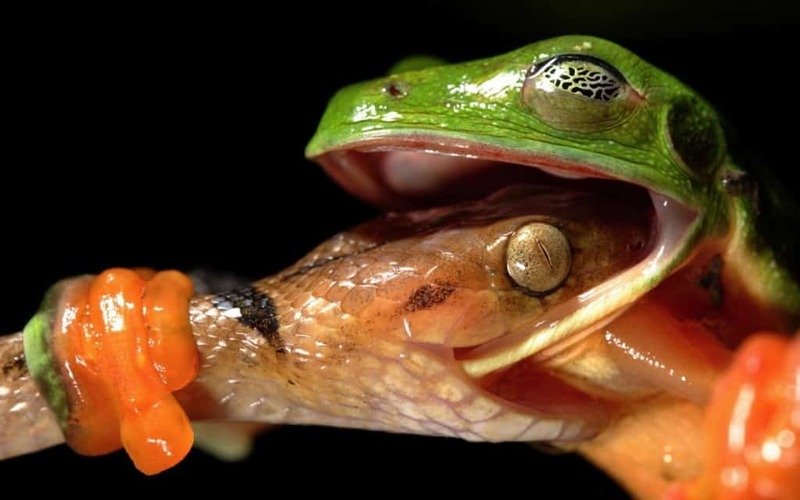 Considering that these two animals are capable of moving at extreme speeds when they are trying to capture their prey or defend themselves from attack, this photographer did a hugely impressive job of capturing the moment the frog strikes. 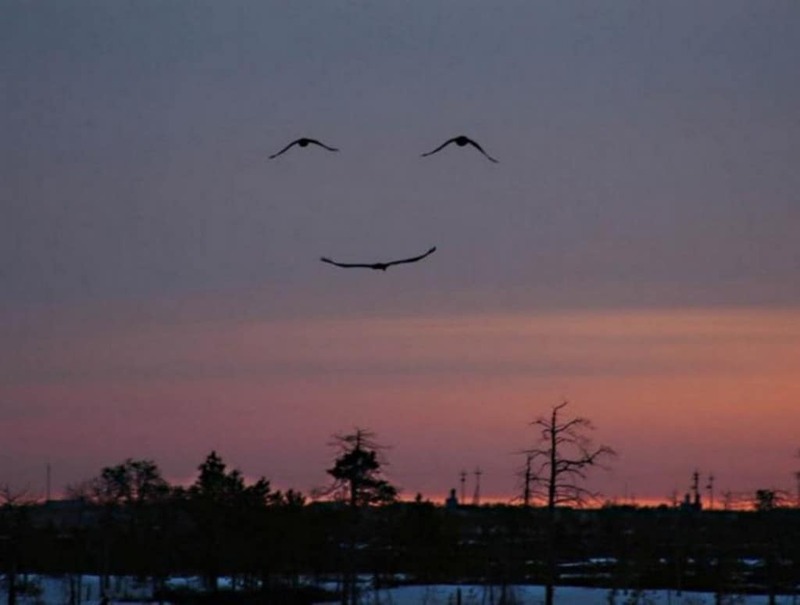 A photographer managed to get a photograph of the exact moment that three birds flying in formation accidentally formed a smiling face in the air. 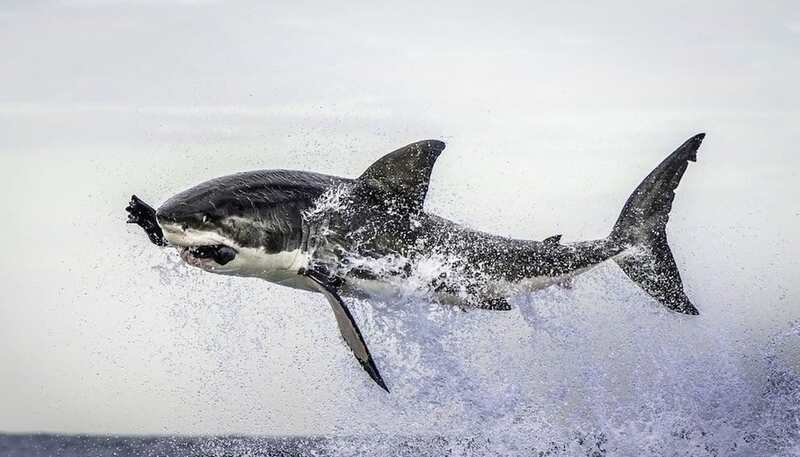 While it isn’t unusual to see the likes of dolphins and killer whales diving from the water into the air in impressive gymnastic displays, it is much rarer to see a shark doing that and even rarer to capture the moment on camera.